Poll #2 – What Type of Local Service? What type of Local Service do you think belongs at 243 Union Street? In Poll #1, Local Service (46%) beat out Restaurant (40%). 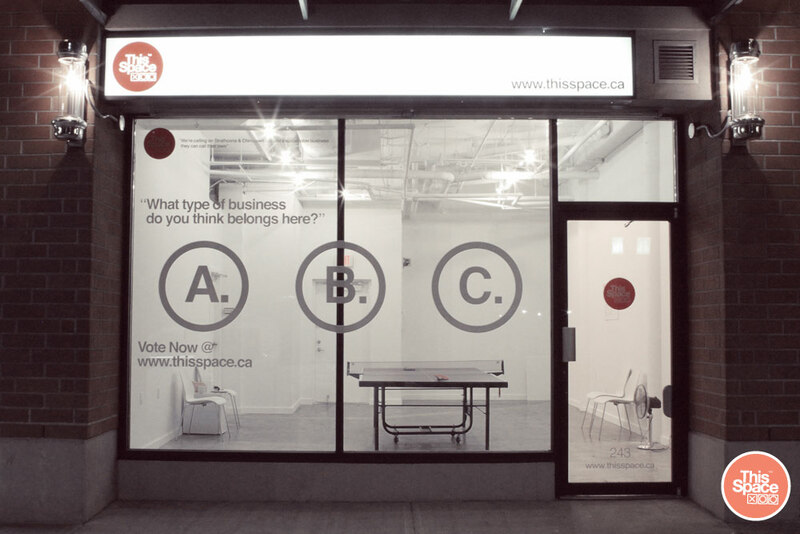 If you were hoping for sushi and tacos, perhaps Another Space will provide them soon for Chinatown and Strathcona! As for This Space, the most popular Local Service suggestions were for evening groceries, bakery and community activities. So, we’ve come up with three concepts centred around these suggestions, and are proposing them to you now as Poll #2. We think each is financially viable and reflective of your comments. We are proposing the grocery and bakery choices as combo concepts with eateries. These combos will (1) offer food by selling grocery/bread items to some customers and using these same items to make meals for others; (2) not ignore a clear demand for more eating options, as reflected by the 40% Restaurant vote in Poll #1; and (3) make Union Street more vibrant in the evening. On the community activities choice, we think we can develop a mixed-use business with many possibilities. This Space would be a local products grocery store and healthy meals eatery, centred around salads, snacks and juices. The business would offer fresh groceries that will also be used to prepare meals for those who prefer a dine-in or take-out meal option. To maintain reasonable costs, we’ll draw on local producers, and will vary our grocery items and menus seasonally. One wall of This Space could be dedicated to all things veggie. It would house the fresh ingredients we would use to make you a salad, but also serve as a grocery wall for people who want to cook at home. An assortment of our house-made dressings, salsas and toppings would accompany the fresh salad ingredients, made/grown locally and with eco-friendly packaging. Dine-in seating would include a bar that provides a front row seat to the chef’s chopping skills. Think fresh, think healthy, think local…all at reasonable and fair prices. While This Space is too small to be a full-scale bakery, we can offer a bread focused café and take-out delicatessen. We could make limited signature breads, with other bread options sourced locally and delivered daily. Select from local quality breads and all that should accompany bread. Local residents, nearby offices, and cycling commuters will find it convenient to pick up sandwiches in the morning for lunch or take out nicely plated bread, cheese and olives in the evening for dinner. Perhaps swing by Union Street for a Spanish-style chorizo plate with a freshly baked ¼ loaf of olive bread. Think all things bread. Meats, cheeses, an olive bar, oils, and delicatessen. Want a cosy place to have a glass of wine in the evening? This Space can be that too. We think we can make some community activities work in This Space. Bootcamp or Kung Fu classes? Art Exhibit or Comedy Show? Independent Films and Mommy Matinees? All are possible. And we’ll need some of you to lead these activities. Maybe you’re a Kung Fu master who starts out at This Space before you open up a dedicated studio in Chinatown. We’ll also rent out This Space for other activities. Are you a local business or designer who needs a meeting room to make a presentation? Maybe you didn’t get invited to speak at TEDx and want to set up your own talks. Or do you need to rent a studio for a photo shoot? This Space will keep transforming throughout the day, during the week, seasonally, and over time to respond to people’s demand for services. We’ll ensure that some time is allocated for community-related activities that serve Chinatown and Strathcona, even some that need to be funded by other activities. And we can have Ping Pong nights there too. 20 Responses to Poll #2 – What Type of Local Service? mixed-use space has amazing potential for creating community and chinatown already has like 25 fresh fruit and veggie markets. Mixed-use for arts-related activities is already happening at 222 E Georgia (Project Space). We are a book shop and programming space for our projects and projects by community members (aka exhibitions, workshops, readings, presentations, lectures, screenings etc), that can also be rented for various other uses—such as pop-up shops, photo shoots, meetings, etc. mixed use really offers community engagement, by offering space – so hard to come by in vancouver – to artists, community groups/gatherings, etc. it’s also exciting because it’s not a fixed-use space so it offers and supports diversity, and continually renews its allure in/to the neighbourhood with an ever-chaning “program” so to speak. administratively, there may be more behind the scenes work involved, though, because it means good promo/reaching out about the space to potential “occupants” (good word to use right now? given the growing occupy movement?) and establishing, tracking and advertizing the occupany calendar. Whatever this space becomes, I’d like this to be a great business. I don’t actually care exactly what it is. I will use it/shop there if it is well done, well managed and has a product(s) I don’t already get elsewhere (for better quality/price/service). and I think the model could do exceptionally well at 243 Union. However, finding the right management would be essential. How about a market that runs as a collective of some sort? http://www.thepeoplessupermarket.org/ is an interesting example of this. As one of the many daily cycle commuters I would love somewhere where I can run in and get take out for dinner that night. Somewhere open later than 6pm! My main problem with various food outlets is that they often open too late and close too early to suit my lifestyle. I live very close by, so something that was healthy-food-oriented with useful hours would be great for me. Although I can see a great use in a mixed-use space, I would definitely prefer the first option. Georgia street provides a great selection of certain produce, but there are many things you cannot get. A shop open until at least nine or ten would be awesome too because the shops all close around six, so aren’t convenient for a lot of people. Having good quality take-away food offered for decent value would be a huge success in the hood, I imagine. Especially a few neat breakfast options. Come on! You know you would love that! Don’t even try to deny it. I choose mixed use space, and even though there is the project spacenear by, the city needs MORE. There are tonnes of fresh asian grocery stores in the area, why have another? Fresh breads would be neat…but there are also lots of fresh chinese bakeries around. Mixed use space is vital. It’s a space where different people of different walks of life, diverse backgrounds can come together. I’d love to see more spaces that incorporates the neighborhood, china town residence, DTES residence, and not just the “usual hipsters”. I would love to find quick local groceries and prepared meals to go that are not based on the foods already prevalent in Chinatown. Fresh low-carb bowls with an asian influence yet contemporary would be awesome! a healthy take out meals place would be great, and you can take the opportunity to make it more of a community gathering place by integrating chess or boardgames into the mix. your tables could be chess tables, people could drop by after work and pick up dinner to go or they could stay and play a game or two. you’d get that transition into an evening destination location in addition to the takeway commuter crowd. you could hold chess tournaments on the weekends. This is hard to choose. I’ll pick them in this order: A, then C, then B. The idea of having a business open in the evening will bring more life into Chinatown after hours. Chinatown has been quieter around dinner time and after, probably because a lot of the restaurants have closed down over the years. I picked option A because food brings people together. I picked C because learning also brings people together. I picked B last only because take-out was mentioned. Although take-out is an important service, it implies something quick, which doesn’t sound like it will promote people getting to know each other as much. Perhaps there is some way to offer take-out while allowing for a sense of community. Maybe something similar to what you’ve been doing in trying to get ideas for what This Space would become. Maybe have people pick from 3 choices what next week’s/month’s special take-out would be. Or maybe pick out a new decoration, etc. P.S. I think what you’ve been doing with This Space has been great! I look forward to the next phase. obviouisly it should be a prime time chicken ! if not it should be a neighbourhood collective of some sort, the neighbourhood is pretty tight and is daily ,being encroached upon by offshore investors disguised as local developers . so if theres was a way of getting together ( for people who arnt breeders ) i think that would be the the bees knees … the options provided are frightinly delusional and obtuse. There are a lot of people with food sensitivities and allergies to things like gluten/wheat, yeast, sugar, vinegar eggs, dairy, salt, etc… and it is very difficult grocery shopping or eating out and with these types of food sensitivities – there are not a lot of quick and easy options out there. For those people that don’t have issues with these types of foods, there is no harm in eating less of these items, because we generally get too much in our diets that consist of primarily processed foods anyways. As far as I know, there isn’t a grocery store in Vancouver that caters to those with food sensitivities and allergies, or that provides truly healthy options (even Whole Foods – while many items may be of better quality and are “organic”, there is still a large percentage of processed foods with a high content of sugar, salt, and saturated fats). There is a lot that can be done with raw food – http://www.oneluckyduck.com/purefoodandwine/ and would require a food processor and dehydrator. No stove, oven, fans, etc. would needed. Another thought… a quick stop for people on their way home to pick up something for dinner. Maybe three different dinner options (weekly?) Easy cooking instructions (if necessary), and everything needed for a healthy dinner in one basket, already put together. Thanks, K. Your comments make sense. Thanks for the intro to Pure Food and Wine vegan bar–would be a good fit for our ventless small space!